In most cases, the FLI service will be to provide other research institutes with cell culture systems, defined virus strains, tissue samples from naturally or infected animals, etc. This will help other institutes to perform their work under optimised conditions. If another institute does not hold the capacity to do certain work (i.e. lack of laboratory facilities under the required biosafety level), there may be a possibility to perform part of the work at the FLI. There will also be the possibility for training visits from other institutes. After the new facilities are in place (see "Description of the access to provide"), there will be sufficient capacity to offer laboratory as well as experimental animal facilities under all biosafety levels to perform experiments for or in collaboration with other institutes. 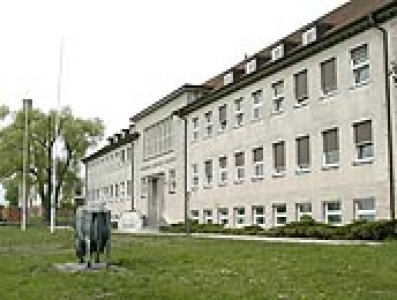 The Friedrich-Loeffler-Institut (FLI) Insel Riems is known as the world’s first virus research institute which was founded in 1910 by the microbiologist Friedrich Loeffler, who was a pupil of Robert Koch in Berlin. The institute where the first steps in virology were taken has developed into one of the world’s leading virus research institutes, with its main focus on animal health. To accomplish its duties, the institute is equipped with modern state-of-the-art technology, such as sequence analysis (including a Roche genome sequencer), electron microscopy, confocal microscopy, besides the all the equipment that is essential for all tasks of molecular biology (such as Real-time PCR, protein and nucleic acid sequencing, MALDI/TOFF). In its actual role as an OIE collaborative centre, the FLI is in close contact with many other veterinary diagnostics and research institutes worldwide, historically there is a very good collaboration with institutions in Eastern Europe. This facilitates the approach to many isolates that are rare and/or important for research. The FLI holds more than 40 national reference laboratories and therefore provides expertise in the diagnostic work and in research activities for all present notifiable animal diseases. Moreover, a variety of so-called ‘emerging diseases’ are also worked on, such as West-Nile Virus, and Equine Encephalitis Virus. A special interest has been put on the vector borne diseases, such as Bluetongue disease and West-Nile Virus. The FLI holds one of the largest cell culture collections worldwide. Its main tasks are the establishment, characterisation, collection and providing of cell lines needed in veterinary research and diagnostics. At present, the stock contains about 1.000 lines. It provides scientists of the "Friedrich-Loeffler-Institut" and other non-commercial research institutes in Germany and abroad with cell cultures. Delivery is performed after consultation by staff members. The collection contains cell lines of domestic animals like horse, cattle, pig, sheep, goat and poultry as well as other mammals, but also of other species (insects, fishes, reptiles, birds). The lines are checked regularly for contaminations (mycoplasms, bacteria, viruses [BVDV]) and for their correct identity. The FLI currently holds animal facilities for biosafety levels L2-L4Vet (= L3+) that are however currently limited in capacity. During the next years, a new facility will be built including laboratories and animal facilities (large and small animals) from biosafety levels L2 – L4. This building process is planned to be finished 2010/2011. When the new buildings are in use, there will also be capacity to perform animal experiments for external users. The cell culture collection has for many years been contacted very frequently by other research institutes worldwide. By this, many diagnostic and research institutes have received specialized cell culture systems that are essential for working with certain agents. Since the national reference laboratories for almost all notifiable animal diseases are located at the FLI, this opens access to diagnostic and research material even of either rare or relatively new diseases (Bluetongue disease). This includes tissue samples from naturally or experimentally infected animals. Furthermore, the FLI holds a virus collection (Riems Virus Collection; RVB), which is a centrally acting organisation in the Institute of Diagnostic Virology. Its task is to collect authentic virus strains which are important for veterinary medicine. Virus strains will be collected, conserved, and cultivated under defined conditions. All available data on the strains are documented. Virus strains and to a minor degree homologous immune sera are prepared and kept ready for other institutes of the Friedrich-Loeffler-Institut and other domestic and foreign institutions. International reference strains and virus strains and isolates which function as “national” reference strains or which represent striking spatial or temporal disease progressions form the scope of the Riems Virus Collection. The focus is put on such strains which are not collected by relevant national reference laboratories. In particular, virus strains are incorporated into the virus collection data of which are known such as source, identity, and absence of contaminants (including mycoplasms and other viruses). If necessary, the RVB initiates an appropriate verification and eliminates contaminants as possible. In collaboration with the Riems Cell Culture Collection in Veterinary Medicine, it ascertains optimal cell culture systems for the in vitro cultivation of viruses. For this purpose good characterised diploid or permanent cell lines are preferred. Furthermore, the RVB has the ability to keep virus strains with transfer restrictions. The Riems Virus Collection actually holds more than 500 virus strains and isolates originating from cattle, swine, horse, dog, cat and fowl, but also from goat, sheep, giraffe, elephant and different fish species. Part of these virus strains are available e.g. for scientists and diagnosticians. We suggest that not more than two (maximum three) users visit the FLI at a time, in order to provide an optimal efficiency of the visit. The Units costs for this access are 35.500 Euro for two months (equals 4375 Euro per week). This covers the subsistence costs. Travel and accommodation will need to be added to that. In addition, guests will only be able to book the facilities if nobody else has already booked the them. Once facilities are booked there will be a binding agreement. All animal experiments performed at the FLI have to fulfil the European requirements as laid down in the EU council directive 86/609/EEC for the protection of animals used for experiments and other scientific purposes.